RICHMOND, BC – Fuggles & Warlock Craftworks has announced the release of its annual fresh hop ale. 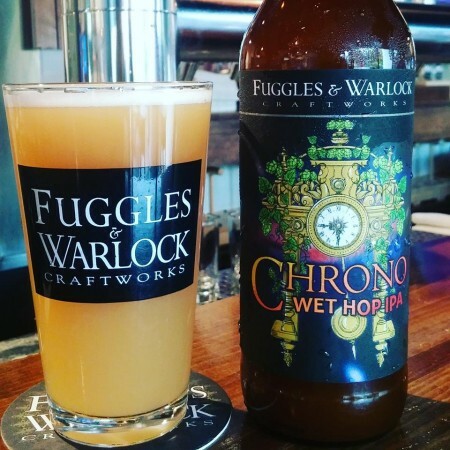 Loaded with fresh Cascade and Centennial hops from BC Hop Company the Chrono Wet Hop IPA is the juiciest and one of our favorite beers of the year! And this year for the first time, it’s Hazy! Chrono is available now at the brewery and select private liquor stores while supplies last.